Many believe the genesis of North Korea's internet that went down was a retaliation from US. 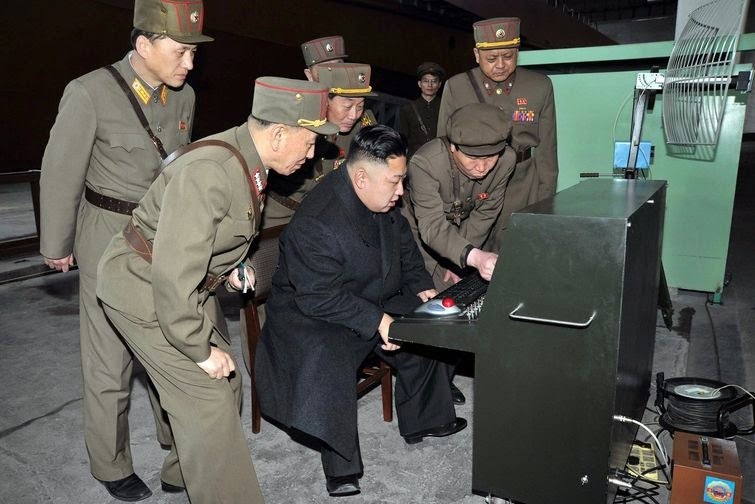 Sony Pictures released a movie called The Interview, a comedy about a fictional assassination of North Korean leader, Kim Jong Un.. North Korean didn't find it funny and hacked into Sony's computers, rendering thousands of computers inoperable and forced Sony to take its entire computer network offline. That wasn't enough, they then threatened terror attack on US citizens if Sony doesn't cancel showing the movie, forcing Sony to pull the interview from theaters and losing almost $200m. Then the US govt got involved and told Sony to go ahead and release the movie, that they don't take lightly to threats and promised to retaliate for the attack on Sony. North Korea, which has four official networks connecting the country to the Internet -- all of which route through China -- began experiencing intermittent problems yesterday and today went completely black, according to Doug Madory, director of Internet analysis at Dyn Research in Hanover, New Hampshire." Bloomberg reports.